God's Best Gift: Happy Monday! Let us all think positive, happy thoughts and let us all hope for a good week! I know last week was not that good but that is over now. 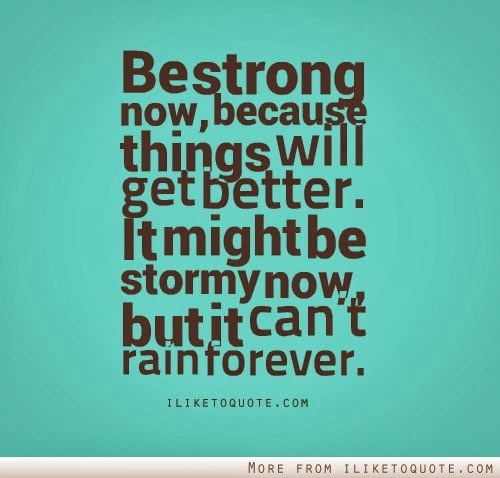 And I am certain thing will get better and better. 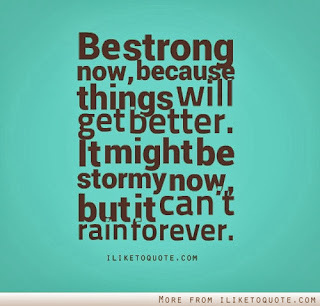 So for those who are in stormy situations now..don't worry..remember it can't rain forever! Sometimes it rains way too long though. I'm happy your mom is home and recovering. She remains in my prayers. Thanks for the quote, Rocks. It made me smile. Andaming pagsubok sa ngayon and may mga dadating pa. All of them to teach us lessons and to make us stronger.